Rethemed, refreshed website with improved conversion features successfully generated thousands more ticket sales year on year. 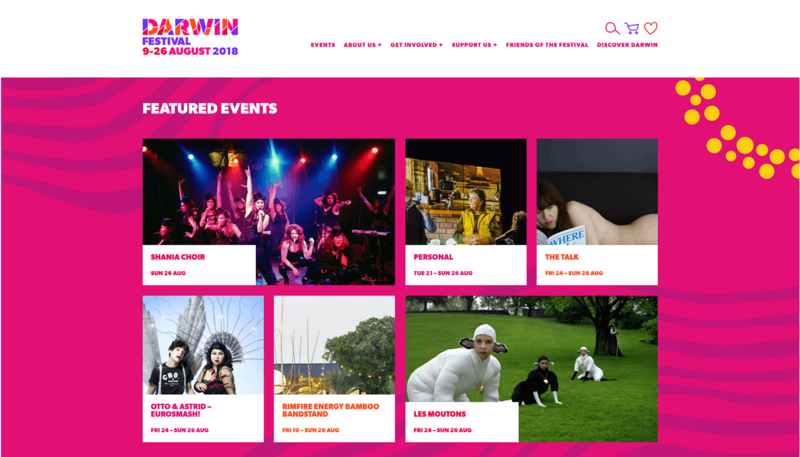 Darwin Festival – 18 days of entertainment featuring local, national and international performances. It’s an annual event of music, dance, art and theatre celebrated in Darwin’s perfect dry season tropical weather. To create a seamless website experience and fully integrated online sales.  To retheme and refresh the website and improve conversions. Having worked with Darwin Festival since 2014, Captovate hit the ground running on site improvements. 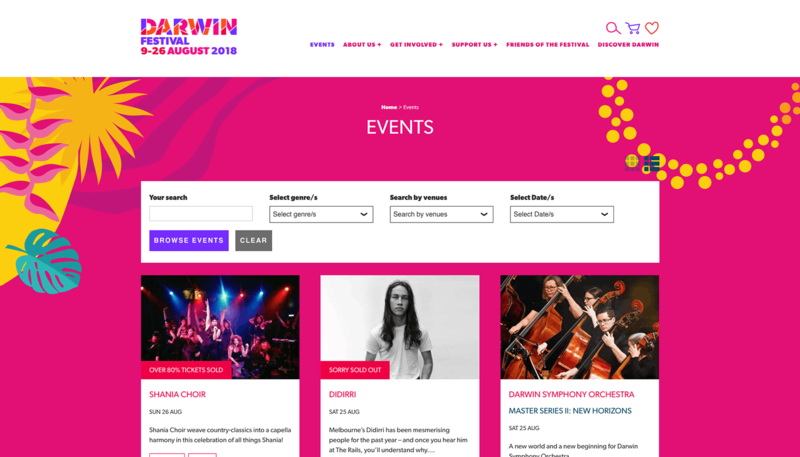 The website was rethemed to match the 2018 Darwin Festival branding. This included colours, fonts and iconography. 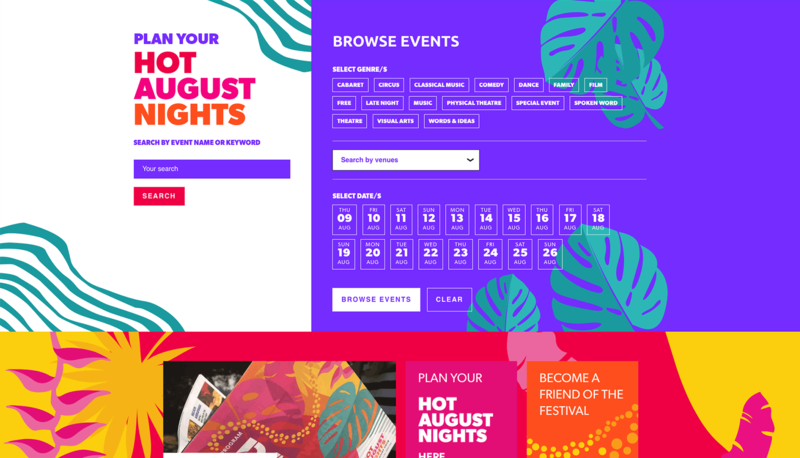 The home page was refreshed to feature key acts, more events and a more prominent search bar. Users can search by genre, date, venue or keyword. Google Analytics provided data on how customers used the 2017 site. 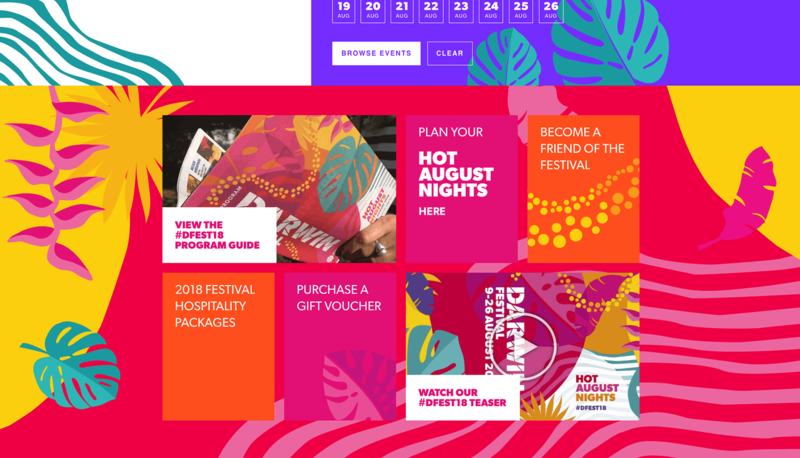 A ‘badges’ function was created to allow the Darwin Festival team to assign a badge saying ‘selling fast’ or ‘one night left’ to select events. A successful digital approach resulting in greater reach and conversions. We proudly contributed to the success of this lively annual community event as digital partners.